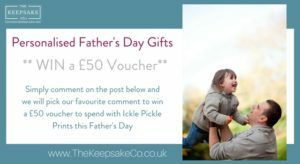 We are very pleased to have this superb guest post – Advice on Seeking Employment Around Children, to share with you, written for us The Keepsake Co by Nicola Caswell-Thorp. We hope you find it as interesting & as informative as we do. Q. Hi Nicola, I have been off work for a period of time as I have been raising 4 children – I am now a single parent and I am very keen to get back into paid work. Do you have any suggestions about what might be suitable? I applied for two jobs last week but was unsuccessful and I am getting frustrated. A. Hi Mary, thank you for your question – what a good one to ask too. Of course it depends on your background and experience and current circumstances but I am assuming you want a job which fits closely around school hours. There are many businesses now being more and more flexible with working hours to accommodate employees with dependents and part time working is also popular in a time of austerity. A first port of call will always be your CV – make sure it is as good as it can be. Then I suggest you sign up to a number of job board websites and post your CV for recruiters and employers to be able to find you – tick the box stating you are after part time work and you can always add a line at the top of the CV stating you would prefer hours between XXam and XXpm to be very clear, so you are not being contacted by those who cannot accommodate your needs. You can also set up searches from these job boards to email you with suitable jobs – again ticking you are interested in part time positions. Next I would suggest you put together a cover letter which can be tailored for specific roles and also includes your availability. Then look at local businesses and create a list of one’s which look interesting to you and apply speculatively to them. Ideally you would be picking businesses which are experiencing growth or promoting new services to be in with a stronger chance of getting a call back. Make sure you pick a number of job boards from those specialising in your field and some locally based ones too. Keep an eye on local notice boards as often part time positions will be advertised in shop windows / supermarket notice boards etc. Let your friends know you are looking for part time work and ask them to let you know if they hear of anything. Try not to get too frustrated – I know it can be demotivating when you are applying for jobs and not getting interviews but keeping a fresh and positive approach to your search and don’t lose hope – remember there are a lot of Mums out there also applying for the same jobs. Make sure your CV is a cut above everyone else’s – I am sending you my Essential Guide to CV Writing support document and an example of a CV to assist you. Good luck and keep in touch! ← An afternoon of pottery painting fun!